Today, we are pleased to have with us one of the original pioneers of virtual reality photography Scott Highton. Welcome, Scott, and thanks for agreeing to be interviewed. We hope this interview will satisfy the queries of your admirers and fans, as well as people new to your work. First of all, how did you first get into photography? Photography was a hobby when I was young. When I went to college, however, I began as a zoology major intending a career in science. But in my second year, I found a greater attraction in photojournalism, and switched my major. Photojournalism presented an opportunity to go anywhere and to be involved in anything, with constant variety if I chose. My first job after graduation was as a reporter and photographer on a small daily newspaper on the eastern shore of Maryland. I think it was well-used Voightlander 620 format bellows camera that was a gift from my uncle. I was probably about 10 years old at the time. I remember the bellows had light leaks, so I had to try to make repairs to it with tape. Probably some of my uncle’s black and white photographs of the pet snakes he kept as a youth, because he was able to capture close up images that showed views that most people didn’t take the time or interest to see on their own. I remember in particular a shot of the head of a young snake just emerging from its egg, and it was so sharp that you could see the tiny egg tooth on the snake’s nose that helped it break through. It was really quite spectacular, particularly blown up as an 11”x14” print. I also spent hours as a child engrossed in the weekly rich visual storytelling and photographs of LIFE Magazine. The work of LIFE’s photojournalists probably had the biggest impact on my early directions as a photographer. Can you describe the first photograph you took that made you, or someone else, think that you might have a calling as a photographer? I suppose it was a scenic image of a sheep on a wooded hillside, shot on a field trip with my father when I was 13 or 14. While not terribly great technically, it fostered my understanding of the importance of composition and lighting, and seemed to strike a chord with many who saw it as a “good” photograph. It was probably the first photograph I ever took that warranted printing as an enlargement. I made 11”x14” and 16”x20” copies for family members for Christmas gifts that year. What are the primary cameras and lenses you use now? For my entire career, I have been a Nikon shooter. Today I use Nikon digital cameras (D3 series), and a vast array of lenses I’ve accumulated over the years, ranging from 8mm to 1000mm. I love using lenses that force you to shoot from non-traditional perspectives – super wide views, super telephoto, extreme close ups, etc. The fact that I can still use almost every Nikon lens I’ve ever owned, even with today’s advanced Nikon digital cameras, is one of the greatest benefits to my having chosen Nikon at the start of my career. I’ve seen so many fellow photographers left high and dry by other camera manufacturers, who’ve changed the design of the lens mounts of their cameras, forcing these photographers to reinvest many thousands of dollars updating their entire lens collections when upgrading to new camera models. I have also owned and used large format cameras, and I still have an extensive collection of Pentax 67 medium format film cameras and lenses from my years of corporate and commercial work. Unfortunately, these get almost no use any more since I switched to digital. The quality of today’s Nikon digital cameras usually meets or exceeds them. However, I love the Pentax 67 lenses so much that I just haven’t been able to bear selling them. Perhaps some day, they’ll see renewed life with a digital camera body designed to work with them at full frame. What are the biggest lessons you’ve learned so far in your photographic career? There are two, and they’re pretty simple. 1) You must have an absolute passion for the work you do. The best photography is created by photographers who are so enamored and so impassioned by their subjects that they find ways to do whatever is necessary to capture unique visions and tell exquisite visual stories with their images. There’s little point to shooting subjects that are dull and boring to you day in and day out. Your work will generally look dull and boring as a result. To get paying work as a professional photographer in today’s market, your work has to stand out – to be unique and somehow draw in the viewer. To do that, your work has to be exceptional. The only way most of us can do this is to focus on the kinds of subjects and photography that absolutely enthrall us. 2) If you’re going to be in the business of photography, you need to treat your work as a business. You have to look at your profit and loss, cash flow, and business practices constantly. It’s great to have a passion and love for the work you do, but if you can’t figure out how to make money at it, it’s not something you should be doing as a business. Understand that getting paid for your work and making a profit (or a viable income) are two different things. If you’re in business, you need to know exactly what you have to charge in order to remain profitable in your business. You can’t let others (whether clients or fellow photographers) dictate your rates or fees. You must set your fees based on your particular costs of running (and making a profit from) your business, and the unique vision and capabilities you bring to the table. If you discover that the rates you need to charge to remain profitable aren’t acceptable in your market(s), then you either need to modify your costs of doing business, or pursue a different market. There are rarely ever “typical” workdays for professional photographers. Unfortunately, much as we wish we could be out shooting and creating stunning photographs every day, the vast majority of our days are spent simply trying to maintain our businesses. This involves bookkeeping, paying bills, invoicing, soliciting clients, preparing advertising and promotion, phone and e-mail communication, testing equipment, initiating projects, developing new work, editing and producing, doing research, etc. I also make family commitments a priority – making sure my kids get to school, sports practices, and after school activities, as well as making sure our family sits down for breakfast and dinner together each day, especially when both my wife and I are home from travels. I think the greatest satisfaction one can gain from his or her work is when one’s home life is fulfilling and family members are all supporting each other. What is the process you go through for finding models for your shoots, and how do you choose between them? I use models in only a small percentage of my work, and when they’re needed, I generally use people who are already involved in the subject or location I’m shooting. These may be employees or workers at a corporate facility (usually the ones who actually do the work and are familiar with the equipment), or who are themselves the subject(s) of the assignment. I generally give the client the option of hiring professional models through an agency if they’re needed, but for the kind of work I usually shoot, it’s preferable to use people already on site and involved in the subject. I still secure model and property releases, just as I would for professional models and locations. But when shooting stories about factory workers, mountain climbers, runners, corporate executives, or bridge painters, you’re generally better off using those who actually do these things as your models. It’s different if you’re shooting fashion, cosmetics, hair products, etc., but I do very little of that kind of work. If you’re in these fields however, professional models are generally the only way to go, and you choose them based on the specific looks the client desires and the unique character or features each model offers. Who gave you your first job? My first professional photography job was as a staff photographer and reporter on a small daily newspaper – the Talbot Banner – on the eastern shore of Maryland, just after I graduated from college. It was a great immersion into visual story telling and photographic problem solving. Each of us on staff had to be able to do many jobs, and to be able to photograph just about any subject. There were three of us who were primarily photographers, so we were often given the assignments where photography was more important. Yet we all had to produce a daily quota of written reporting assignments, as well. It was there that I learned – generally under tight deadlines – the basics of photojournalism, caption writing, news journalism, page layout & design, and building relationships with subjects and the community in which you work. It was, at times a trial by fire, but it was always challenging… and not usually boring. Do you think that for a photographer to be recognized, he must have “hi-tech” gadgets? The latest tools and “high tech gadgets” are intended make photographers’ lives easier – to make us more efficient at doing our jobs or to provide a new way to tell our visual stories more effectively. But these gadgets are rarely a necessity. In fact, many of the most highly regarded photographers in the world use some of the simplest (and some might argue – primitive) equipment. It is their skill as visual story tellers and their abilities to consistently use the tools they have at hand to show precisely what they want that makes them stand out. I’m a strong believer of this. It’s the photographer’s brain behind the camera that makes all the difference. And the best part of this is that this tool is always with you. A good photographer can tell absolutely fascinating visual stories with little more than a primitive box camera. Beyond that however, I think one of the most valuable pieces of physical equipment a photographer can have is a good tripod – one which the photographer is comfortable carrying and is willing to use regularly. The technical quality of many photographs can often be improved significantly with proper use of a tripod or other stable camera support. Can you talk a bit about your book “Virtual Reality Photography”? It provides basics for those just starting out, as well as advanced techniques, technical notes, equipment choices, and even discussions about building some of your own gear. It is one of the few complete resources available for both experienced professional photographers and those who just want to dabble in this sort of work. The book includes 24 chapters and over 300 illustrations. It’s presented in four sections. The first is about Photography Basics, which provides the many necessary foundations for effective VR photography. The second is about Panoramic Imaging, the third about Object Imaging, and the last section covers Business Practices, including pricing, marketing, estimating, negotiating, and legal concerns. I spent many years writing and developing the book, and was fortunate to have the support of some of the world’s leading VR photographers and equipment manufacturers, including Manfrotto. Define what constitutes a good photograph from a bad one. Give me the parameters. Also, what is the difference between a good and a great photo? A good photo tells a story, and presents it concisely in a visually appealing manner. Bad photos fail at this to varying degrees. Many years ago, I attended a National Geographic workshop for photographers. We spent long days (and nights) shooting assignments, and every evening after dinner, we all got together for the group critiques of our work. It was brutal at times. The image being reviewed was properly focused, exposed, and had what could have been an interesting subject, but basically had nothing to say. There was no story or message to it… much like having a jumble of wonderful words written on a page, but without the writer having formed them into a sentence or paragraph that meant anything to a reader. So too is it the photographer’s job to use his or her tools to form the various visual elements into an image that makes a message understandable to the viewer – i.e. to impart an emotion and to draw the viewer in to the story. Great photos do this to a degree that makes them memorable. Usually they are great because they show the viewer a new perspective of a subject in a way that made the story so much more intimate. How do you think photography has affected your ability to communicate with others in everyday life? Or, are you simply more visually oriented? I’d approach this question from a somewhat different perspective. I believe that learning to write well is what improves one’s ability to communicate, both verbally and visually. Taking the time to write forces you to think about what you are trying to say, and to then review, rephrase, and improve it in the editing process. The more you do this, the better you get, and the easier it becomes to write effectively from the outset, rather than only after heavy editing. The same mental process transfers to good verbal communication. Writing practice gets our mind accustomed to thinking about what our desired message is before we actually start speaking, and helps us better get to the point. It can also help us avoid distracting verbal noise, such as unnecessary “likes,” “you knows,” “ums,” “ers,” “wells,” “thats,” etc. When we get rid of this verbal clutter, our messages become more succinct and effective. The same concept absolutely carries forward to our visual communication via photography. Figuring out exactly what message or story we want to tell in a photograph is important to do before we push the shutter release button, just as better verbal communication comes when we figure out what we’re going to say before we start speaking. This helps us to be clearer in our communication, and minimizes the clutter – whether visual or verbal – ­ that distracts our audience from the message(s) we are trying to impart. 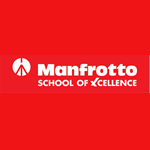 Is there anything else you would like to say to Manfrotto School of Xcellence readers? Photography is a creative process. Keep exploring. Keep learning. And most importantly… have fun!